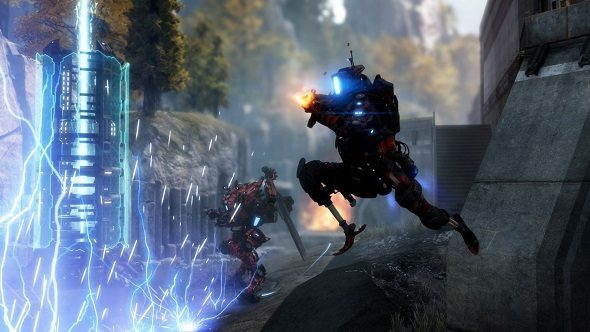 Like a futuristic mech pilot legging it across a horizontal surface, the pace of updates for Titanfall 2 are showing no signs of slowing down. Respawn just announced the next big one in an exciting new trailer, lifting the lid on a new co-op mode, as well as some free maps. Fancy a different multiplayer experience? Try one of the best co-op games on PC. Frontier Defence is an all-new mode that sees you and up to three of your friends defend against waves of robots, soldiers, and titans. You can unlock upgrades for your own robots, unique to this mode, as you fight through the increasingly difficult five waves. Between rounds, you use cash you’ve earned to spend on defenses, batteries, and other consumables. It looks like it’s gonna be a lot of fun and launches with support for five maps and various difficulty modes. Check it out in the video above. If you play Live Fire mode, you can also bound around another new map, called Township. Elsewhere, there’s a bunch of new paid DLC so you can standout on the new battlefields. Read the full post on the Respawn blog.